NEW DLC CADENCE: Rather than continuing to deliver big DLC expansions tied to a particular storyline, the DCUO team will start delivering more regular small updates throughout the year. LEGENDS PvE: Players will be able to play certain missions as their favorite iconic characters, including Batman, Superman and Hal Jordan. SKIMMING: A new variation on the Flying Movement Mode, Skimming lets the player experience disc flight, similar to how you might see Mister Miracle travel. NEW LEGENDS CHARACTERS: Blue Lantern Kyle Rayner, Red Lantern Guy Gardner, Green Arrow, Deathstroke, Flash, Gorilla Grodd, Shazam and Black Adam. You can watch the DCUO keynote here: http://www.twitch.tv/soe/b/558481577. Following the 15th anniversary celebration for EverQuest in March, the “Year of EverQuest” celebration continued at SOE Live. SOE announced the first details about the monumental 21st expansion to EverQuest, EverQuest: The Darkened Sea, which pays tribute to the game’s famous expansion from 2007, The Buried Sea. NEW LOOT SYSTEM & MOUNT KEY RINGS: allowing players the power to customize and streamline their looting preferences. More updates and details can be found here: www.everquest.com/expansions. 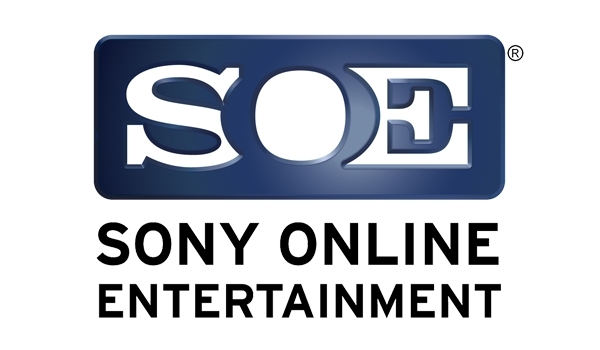 You can watch the EQ keynote here: http://www.twitch.tv/soe/b/558465022. November is set to be a big month for EverQuest II. EQII will celebrate its 10th anniversary (Nov. 9) with the launch of its 11th expansion: EverQuest II: Altar of Malice on November 11th. NEW DRAGONKIN PLAYER RACE: Aerakyn, with customizations for horns, color (scales and wings) and more. More updates and details can be found here: www.everquest2.com/expansions. DEVELOPMENT UPDATE: SOE showcased how Landmark and the community are fueling the development of EverQuest Next by providing feedback to the tools (building, AI, etc. ), building environments and more. UPDATE ON COMBAT: SOE provided a new glimpse of combat, showing off the power of Cleric, Elementalist and Tempest classes in combat paired with the destructibility of the environment. PS4 CONFIRMED: Like DC Universe Online and PlanetSide 2, H1Z1 will also be available for consoles. AIRDROPS: with players fighting for survival, intermittent airdrops that could contain food, water or other survival supplies will create tense (and potentially deadly) encounters between players. Check out airdrops video here: http://youtu.be/aIYyCaLercI. UPCOMING FEATURES INCLUDE player character diversity (races, genders), new vehicles (including multi-passenger and non-motorized) and Player Studio integration. You can watch the H1Z1 keynote panel here: http://www.twitch.tv/soe/b/558499040. PvP COMBAT: introducing death, weapons, armor, players can now battle each other in Landmark (if they choose). Adding a new element for claim development in Landmark, SOE released the first game master items (game rule objects) to create unique PvP combat maps (deathmatch, team deathmatch, capture and hold, etc). Aeria Games has announced that Dragon Crusade has officially begun closed beta testing. Hearthstone Japanese Commercial - Be Legend!